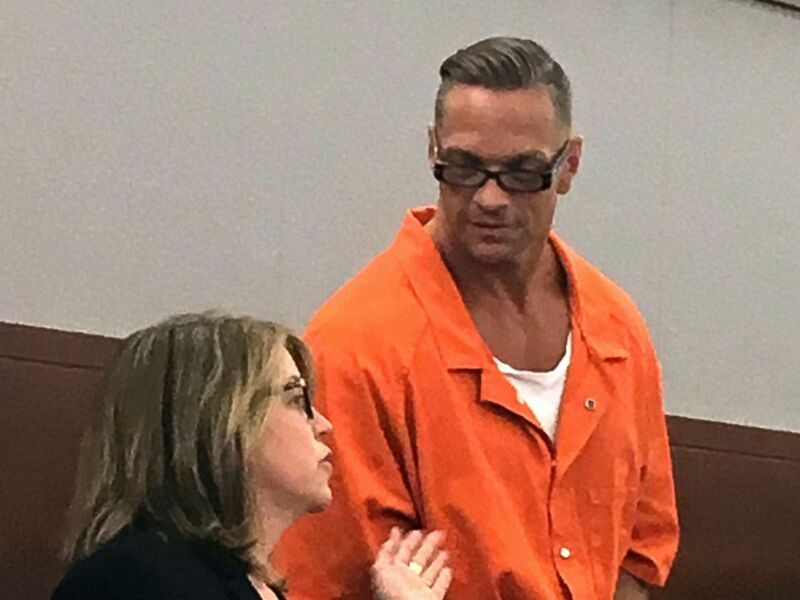 A Nevada death-row inmate who fought to speed up his own execution died of an apparent suicide over the weekend, authorities said. Scott Raymond Dozier, 48, was found dead in his cell at Ely State Prison in White Pine County, Nevada, on Saturday after he apparently hung himself, according to the state’s department of corrections. Nevada death row inmate Scott Raymond Dozier, right, confers with Lori Teicher, a federal public defender involved in his case, during an appearance in Clark County District Court in Las Vegas, Aug. 17, 2017. His execution was rescheduled twice, and eventually canceled, amid court debates over the state’s use of certain capital punishment drugs. He’d said repeatedly that he wanted to die rather than live the rest of his life in prison. Nevada’s Department of Corrections website listed Dozier as deceased, but it did not list details about his death. Department of Corrections spokeswoman Brooke Santina told the Associated Press that he was found dead in a his at 4:35 p.m. Saturday. Nevada officials said he’d tried to kill himself several times in the past, but he was not on suicide watch when he died, according to Santina. She didn’t immediately know when Dozier had last been seen by guards.